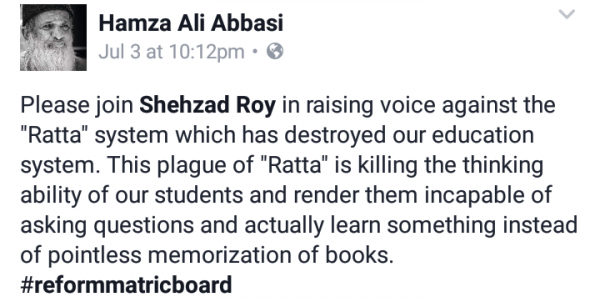 Pakistani singer and activist Shehzad Roy has released a video that aims to create an environment which accepts change of teaching methods in all the 33 matric boards operating across Pakistan — as the culture of critical thinking starts at school. Responding to criticism, he clarified that the video is not making monsters out of teachers or parents but is against all the people and professionals who are in any way extremists. Shehzad Roy’s efforts have been applauded by many people including celebrities like Fawad Khan and Hamza Ali Abbasi.